Interested in drama, plays or even comedy clubs? Our locals guarantee you will enjoy productions at their favorite theaters and venues in Budapest. Even if you don’t know Dutch, experiencing the raw emotions would be worth it. 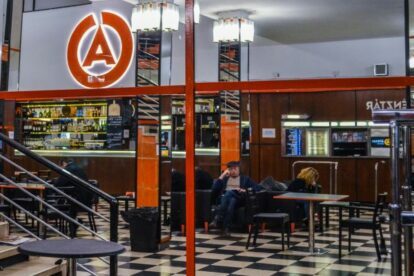 “Átrium Filmszínház” in Budapest is a very old cinema that was reconstructed recently and turned into a theater. I love seeing plays and the artstyle here.